I admit that I’m an optimist. I filter out the bad and look for anything good that can be used to explain why something may or may not happen. Why focus on negativity when all it will do is bring you down. Ok, so now that all of that is out of the way, I want to focus on the 2016 San Francisco Giants. My favorite life-long team, I have followed them through thick and thin since I was a child. From 1B Will Clark to LF Barry Bonds to C Buster Posey to SP Madison Bumgarner, there have been some legends to don the black and orange. I even omit Hall of Famers Willie Mays and Willie McCovey from this conversation because they were a bit before my time. So the question is, where are the Giants going this year. At the All-Star break, the Giants seem destined to win another World Series in what would be their 4th since 2010. Something superstitious about even years, having won 2010, 2012 and 2014, the Giants were devouring every team in their path, leading the majors with a 57-33 record in the first half. Since then, they have fallen out of first place by going 20-32, and that is after just sweeping the last place Arizona Diamondbacks. What has happened to them? Their roster is solid and they still lead the wildcard, but they have seemingly lost their balance and their mojo. Their offense stalls when they need to score a run and their bullpen falters when they have the lead. They have lost too many 1-run games in the 2nd half and just have not been able to find the answer. The Giants are simply slumping and have lost their way. Or have they? 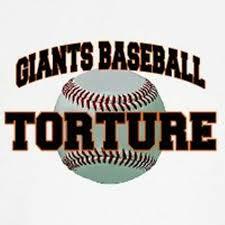 The Giants usually like to torture their fans when they win. Why win convincingly when you can make the games more interesting? Who will be the guy to step up this year? Their last 3 titles were won because of gritty performances from unexpected contributors. From my vantage point, I think the Giants have the national league right where they want them. This entry was posted in Baseball on September 12, 2016 by BronsonQuon.